Hello! For today's art appreciation, we have a card from Mary Meyer. If you haven't noticed, I buy pretty cards and then don't use them for their intended purpose. I'll typically hang them up as a print, because they're too pretty not to! Kristen actually picked this up for me in New York when she visited. She and I have really similar tastes in design, so she always gets me stuff that I love. 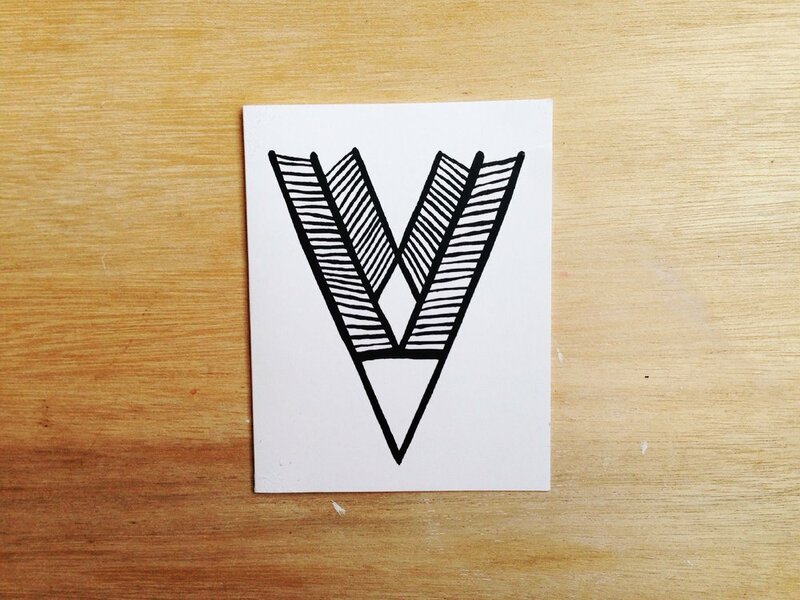 Another cute logo! Sometimes people don't realize how important their logo is to what their brand is trying to say, but designers and illustrators obsess over it. I hand lettered mine and it fits with my brand because it's my own personal handwriting. 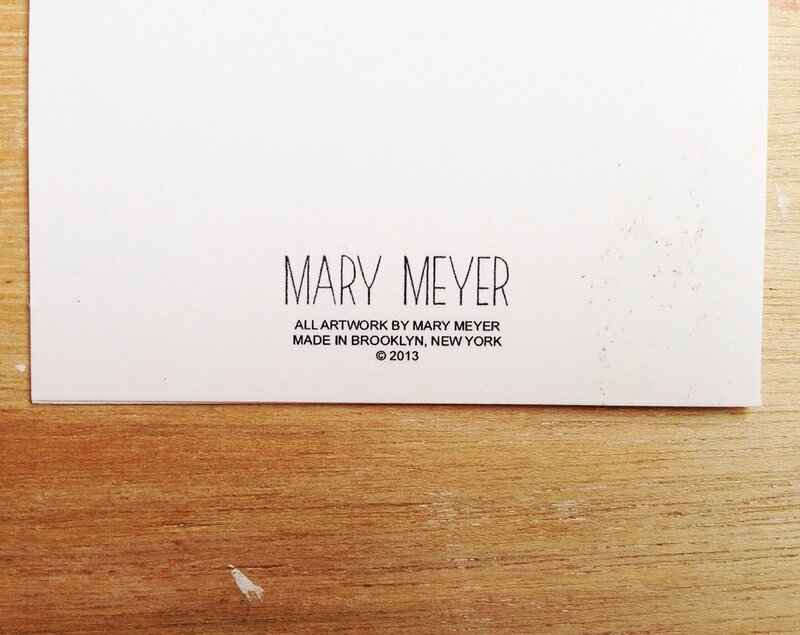 Aesthetic is a big factor in having a brand identity, and a simple one, like Mary Meyer's, is always a good choice. Thanks for reading, and have a great Monday off tomorrow! !